Explore Victoria Falls, Chobe National Park and Okavango Delta and discover the best of Botswana’s wildlife and nature on this 9-day tour. Game drives, walks, mokoro rides and many optional activities will ensure this trip is made truly unforgettable. Start your Botswana tour by leisurely exploring the magnificent Victoria Falls for two days. Choose from a host of exciting optional activities here such as bungee jumping, white water rafting, cruising, etc. 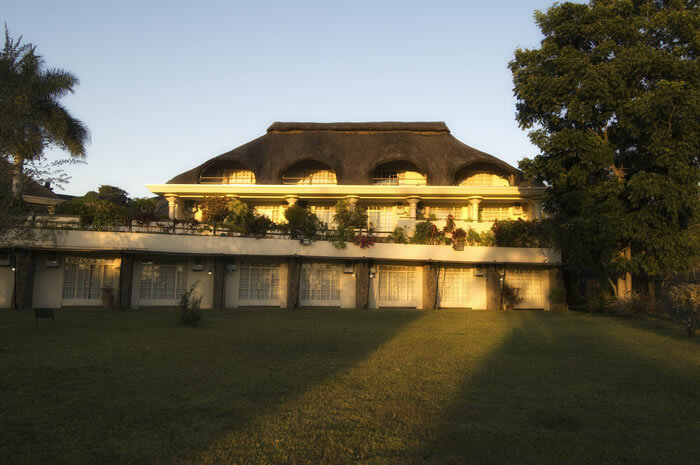 Arrive at Victoria Falls Airport, Zimbabwe, where our local representative will meet you and transfer you to Ilala Lodge, located in the heart of Victoria Falls town. Victoria Falls is located in southern Africa on the Zambezi River between Zambia and Zimbabwe. While it is not the highest or the widest waterfall in the world, it is perhaps the largest. The width of the falls is about 1,708m and it is about 108m high, forming the largest sheet of falling water in the world. The Falls were named after Queen Victoria by David Livingstone, a Scottish missionary who is said to be the first European to see the Falls. The indigenous name – "Mosi-oa-Tunya" literally translates to mean "Cloud that Thunders". Tumbling cascades of water that throw moisture far into the air ensure a cool walk through the bush and breathtaking views of the Fall. Ilala Lodge Hotel is ideally situated on the Zimbabwean side of the mighty Zambezi river, where it is the closest hotel to Victoria Falls. Wild animals often graze on the hotel lawns and restaurant diners can see the spray of the falls in the background while they enjoy some of Zimbabwe's finest cuisine in Ilala's Palm Restaurant. All rooms have en suite bathrooms with separate showers, air conditioning, and other modern facilities. Enjoy morning and evening game drives along with experienced rangers and trackers to spot the Big Five and a host of other wildlife species at Chobe National Park. Along the Chobe riverfront, the terrain is that of a typical riverine ecosystem. Away from the river you will find mixed miombo and broadleaved woodland that harbours rich avifauna. Northern Chobe is famous for its huge elephant population and buffalo herds, pukus, kudus, Chobe bushbucks, and hippos as well as diverse bird life. Also spot lions, leopards, wild dogs, giraffes, waterbucks, zebras, and impalas. Today, you will be driven from your lodge to the Botswana Kazungula border (one hour). After passing immigration, you will meet your guide who will then drive you into Kasane for a three hour boat cruise with packed lunch before heading into Chobe National Park in your 4x4 open vehicle. You will arrive at the camp in the afternoon were you can either relax or proceed on a short game drive and take sundowners near the Chobe river. The next day, you'll have an early wake up call followed by a light continental breakfast before you leave for your morning game drive. Later, you can relax in camp and enjoy a siesta before heading off again in the afternoon around 3pm. Return to camp for a hot bush shower and a meal under the stars in the evening. You'll be camping and your camp team will now move with you for the rest of the tour. Your camp will consists of medium sized walk-in tents (3 x 3 m) with built-in floors, mosquito gauze on two door and two windows. It also has a small shaded front verandah with door mats and chairs. All the rooms have beds with mattresses (in a bedroll to keep bedding dust proof when moving camp). Full linen (one pillow & pillow case; sheets, duvet, duvet cover and two extra blankets; bath and hand towels & face cloth) is provided along with toiletries (soap, toilet paper, mosquito repellant, mirror). The camp is equipped with en suite shower (private portable shower, filled on request with hot water by camp staff) and en suite bush toilet (toilet seat over a pre-dug pit with sand). Enjoy morning and evening game drives in the Savute region of Chobe. 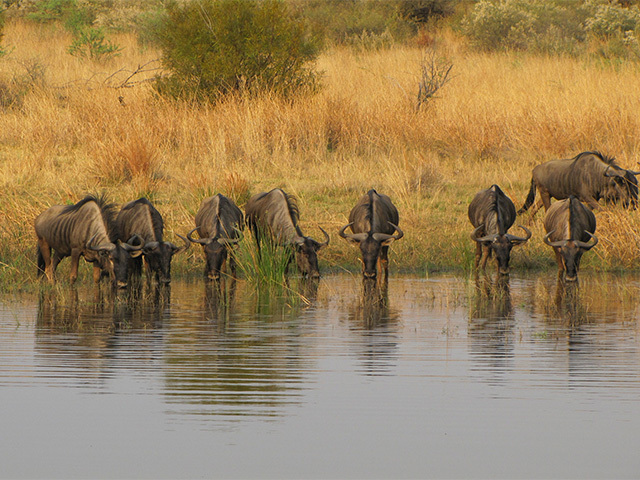 This area is famous for lone elephant bulls, lions, hyaenas, zebra, and wildebeest migrations. After a short morning game drive transfer to Savute in the south west region of Chobe. The drive is approximately five hours through community areas and then through the national park. After freshening up at your new camp you can go on a short game drive to explore your new surroundings. Spend the entire next day exploring the Savute region. The Marsh in Savute is typical grassland surrounded by Acacia bush and stony outcrops. Savute is famous for its lone elephant bulls, lions, hyaenas, zebra, and wildebeest migrations. Also spot giraffes, tsessebe, warthogs, black-backed jackals, leopards, cheetahs, bat-eared foxes, impalas, wild dogs, and kudu. Enjoy morning and evening game drives in Moremi Game Reserve. Travel to Moremi Game Reserve early in the morning after a short game drive. 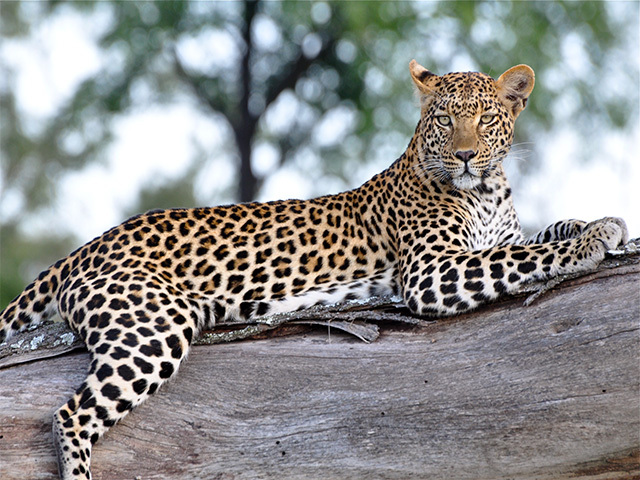 The drive to Moremi is approximately four hours through the national park and community areas. After freshening up at your new camp you can go on a short game drive to explore your new surroundings. Explore Moremi Game Reserve and the Delta and go on a two hour afternoon mokoro trip through the channels of sable alley. Moremi is the protected extension of the Okavango Delta and offers a typical wetland system with grassy plains and pans surrounded by well-developed mopane forests and riverine woodland. Huge breeding herds of elephant are common. You can also spot lechwes, waterbucks, impalas, and hippos. 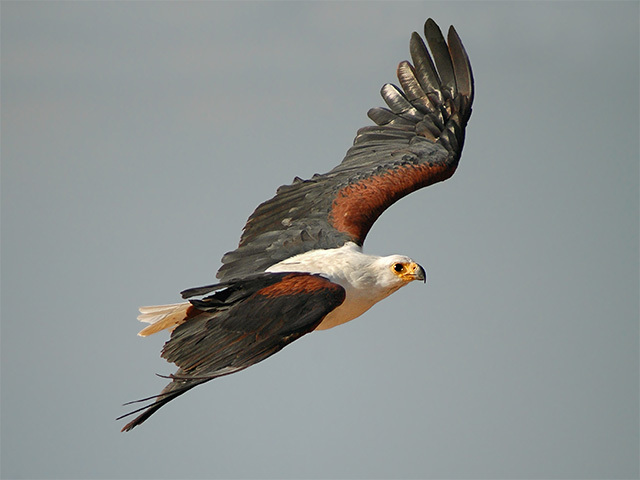 Also look out for the buffalo, giraffe, bushbuck, lion, wild dog, leopard, cheetah, black-backed and side-striped jackal, zebra, wildebeest, tsessebe, bush babies, fruit bats, sable, kudu, roan, steenbok, duiker, and honey badger. The birdlife here includes water birds as well as dry land birds. Okavango Delta is one of the last remaining unspoiled wilderness areas of Africa. The Delta is fed by the floodwaters of Central Africa and covers an area of 16,000 sq km. These waters fan out into the Okavango Delta forming a wetland system of beautiful palm-fringed channels, lagoons and islands that support a wealth of fauna and flora alike. After nine days of exhilaration, transfer to Maun (three hours) for your connecting flight home.